Tracey Gibbon with a picture of her son Kyle who has ADHD has been stuck in Carstairs with no criminal record or sign of release. A north-east man who has been trapped in Carstairs for most of his adult life is just one of many victims of a “national tragedy”, it has been claimed. Kyle Gibbon, 31, who suffers from ADHD and a learning disability related to autism, has been in the State Hospital almost continuously since the age of 18 despite not having any criminal convictions when he was admitted. 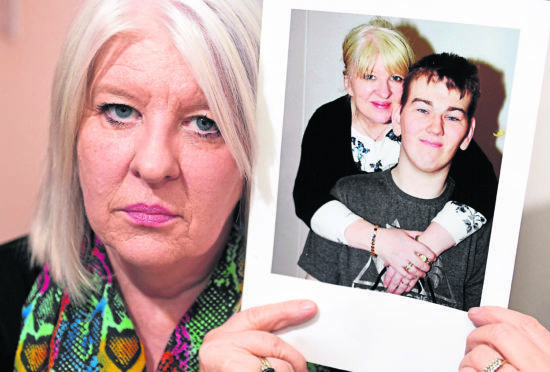 In recent months, a campaign has been stepped up to get the Kemnay man released from the high-security hospital and back home to his mum Tracey. Aberdeenshire West MSP Alexander Burnett has called for Mr Gibbon to be allowed to leave the South Lanarkshire facility and sits on Holyrood’s cross-party group on autism. Mr Burnett believes the Scottish Government could do more to tackle waiting times, and has accused ministers of failing people and families living with autism and other neurological disorders. He said: “As I have worked with the cross-party group at Holyrood, it has become apparent that autism waiting times in Scotland are a national tragedy. “I have dealt with constituents who are justifiably angry about the length of time it takes to get a diagnosis and the support they deserve. “Kyle Gibbon’s family are among them. But I believe Kyle is far from alone in being a young autistic person, institutionalised in the criminal system. Mr Burnett, who has worked with the National Austistic Society Scotland, is urging the government to commit to a three-month window from referral to assessment. During his stay at the psychiatric hospital, Mr Gibbon has been living alongside rapists and murders, which his mum believes has had a damaging impact on his mental health. 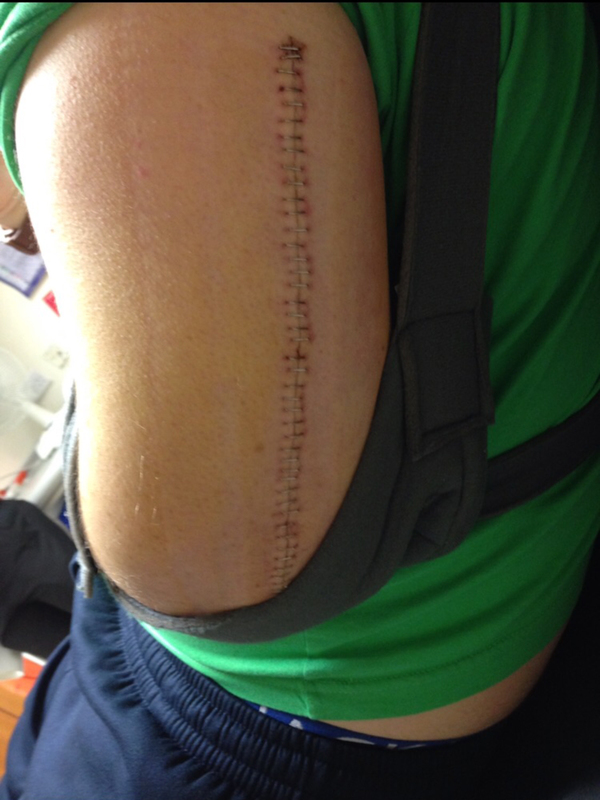 Kyle Gibbon’s arm after it was broken during a restraint at Carstairs. He has also endured a number of hardships, including one occasion when his arm was broken while he was being restrained – leaving him with 45 staples and two metal plates. However, an allergic reaction to a cigarette led to him being taken back to the hospital again. An independent review is underway and will consider the wider issue of whether the current mental heatlth legislation needs to change for people with learning disability and autism. A report is due to minsters at the end of this year. A spokesman said: “We are engaging with local health and social care partnerships across Scotland about why it is so important for them to increase capacity for autism diagnostic services. 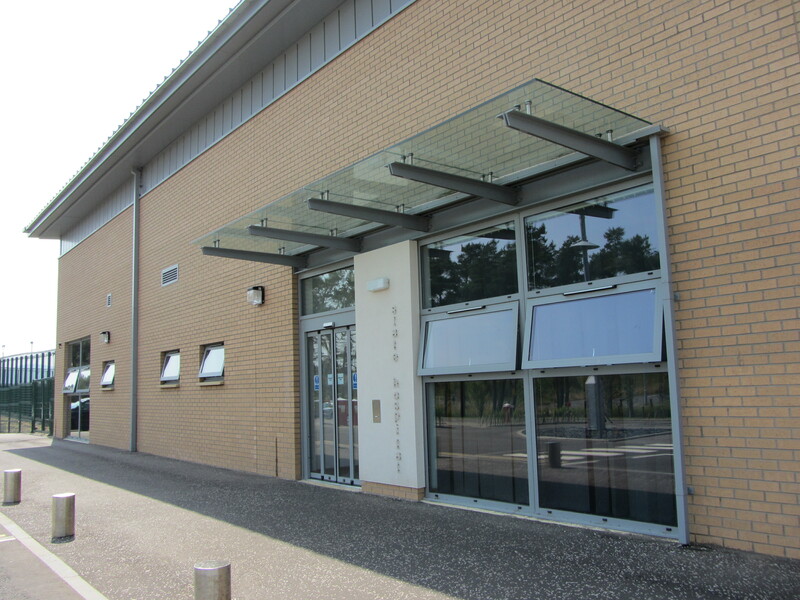 The high security Carstairs hospital is home to about 140 patients from across Scotland and Northern Ireland. It was built in 1939 and was initially used as an army hospital for soldiers returning injured from the Second World War. A number of notorious criminals have been housed there over the years and it was the scene of an infamous outbreak in 1976. Robert Mone and Thomas McCulloch murdered a nurse, a patient and a police officer with axes when they fled the facility. Just last week it was revealed the hospital was in line for a £5 million security overhaul after a string of safety concerns were raised by whistleblowers. Staff at Carstairs have a strict policy on restraining patients if they become violent or aggressive. A document dating back to 2013, titled the Prevention and Management of Violence and Aggression Policy, is publicly available online. It outlines the options open to hospital staff if they are attempting to diffuse a potentially hostile situation with a patient. These include light sedation, non-secure holds to limit the movement of the patient by holding their arms or wrists, and physical interventions. The latter is defined as “a range of skilled hands-on techniques used when managing violence and aggression, which involve the use of secure and non-secure holds”. The document adds: “These techniques involve trained (level one or level two), designated healthcare professionals and are used as a last resort, to prevent individuals from harming themselves, endangering others or seriously compromising the therapeutic environment. “The purpose is to safely immobilise/restrict the movement of the individual concerned.